Hat Yai, the largest city of Thailand’s Songkhla Province, and its business centre, used to be like a second home for many Ipohites. There were plenty of shuttle vans and buses making weekly trips from Ipoh in the 1980s. I don’t find such services these days, probably because Hat Yai is no longer popular among Ipohites. Not to worry, though, as there are still buses that ply the Ipoh – Hat Yai route, just not as frequently. In fact, travellers by bus disembark in the city centre, which makes it very convenient for those without private transport while visiting the city. Other modes of transport to Hat Yai include by rail on Keretapi Tanah Melayu train and self-drive. 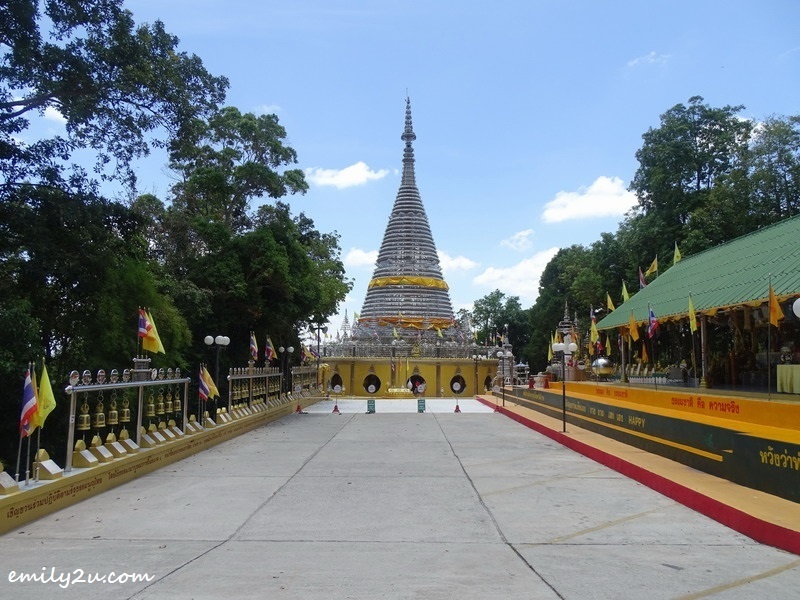 During my first and recent trip to Hat Yai, I noticed that about 90% of tourists in Hat Yai are Malaysians. Many of them drive, especially those who live in border states in northern Peninsular Malaysia, including Perak. Yours truly took a flight from Sultan Abdul Aziz Shah Airport, also known as Subang SkyPark Terminal or simply, Subang Airport. Flight duration is about 1.5 hours. Yes, since 1st Dec, 2017, Malindo Air Malaysia flies direct from Subang SkyPark Terminal (SZB) and Penang International Airport (PEN) to Hat Yai International Airport (HDY). 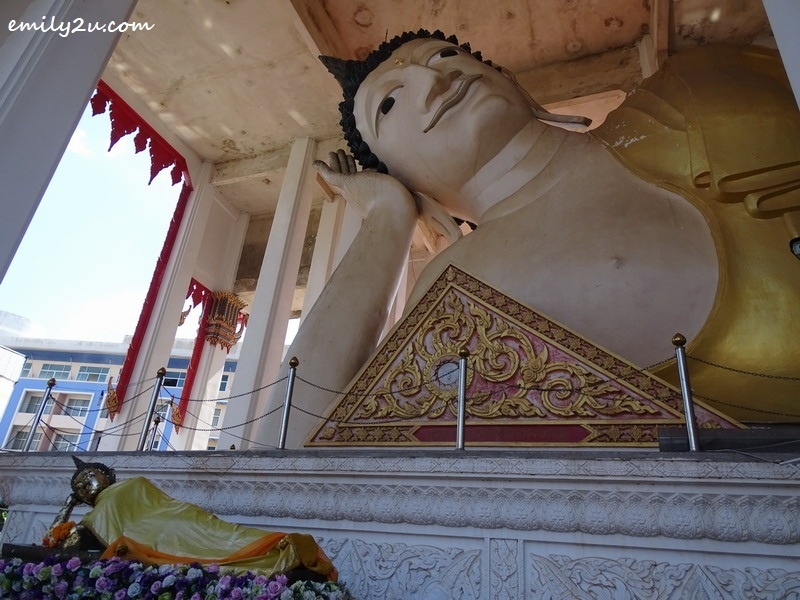 Have you been to Hat Yai before? If you haven’t, here are some tips for you. Money – How much do you need? The official currency is Thai Baht (฿), of course. Just for reference, when I was there, the foreign exchange rate was THB100 = RM12.80 (or RM100 = THB781.25). For me, to convert Baht to Ringgit, I just multiply by 0.128. How much would you need? For an average spender, allocate RM150 a day to cover accommodation, transport, food, shopping and massage. Yes, the Ringgit is not as strong against the Baht as it once was, but we can still benefit from the currency exchange. 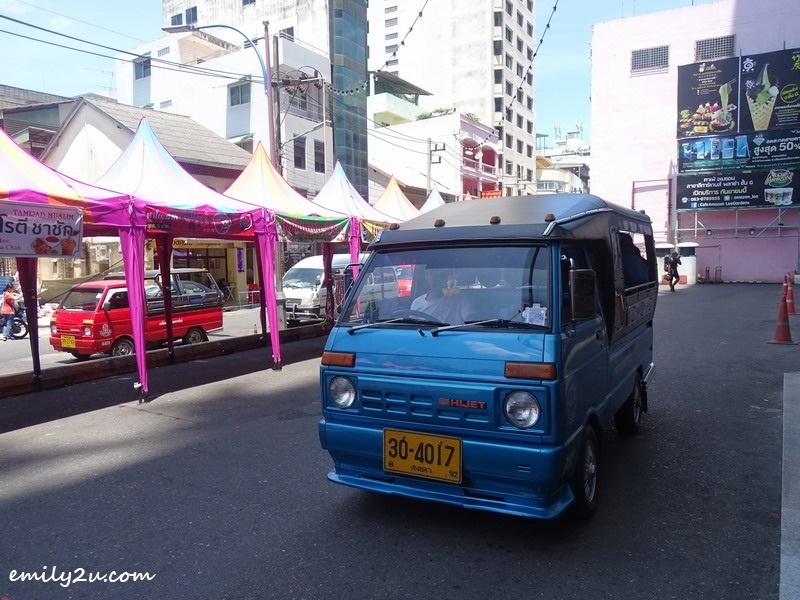 In Hat Yai, there are many transportation options, from car rental as low as ฿1150 per day to chartering a tuk-tuk. Songthaew is Hat Yai’s public transport where a type of pick-up truck is used. These trucks are painted in different colours to serve various routes. Fare is as low as ฿10. The songthaew that runs the airport route has the word “airport” written in Thai at the top of its front. It is ฿30 per passenger from Hat Yai International Airport to Hat Yai city centre, alighting at Kim Yong Market or Clock Tower. 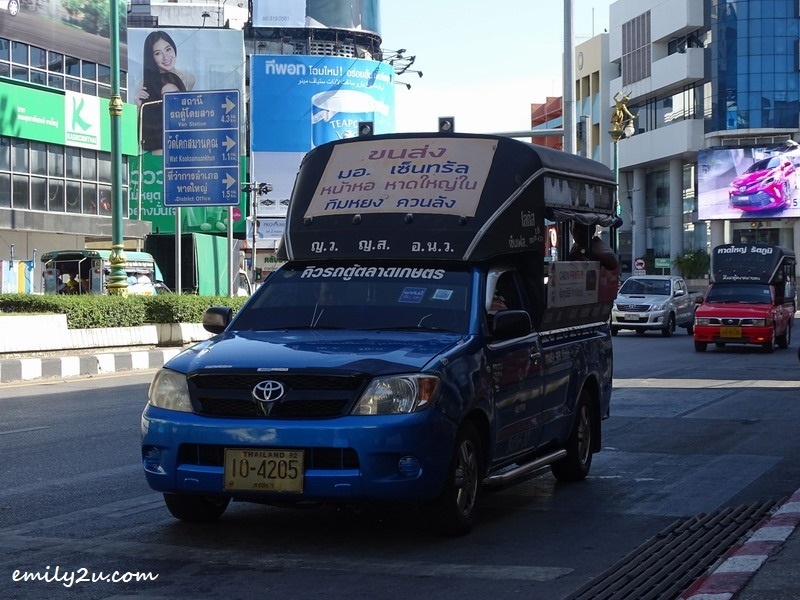 Tuk-tuks run in the city centre and the fare for a ride is as low as ฿20 to ฿30. They are available for charter as well, if you plan to go somewhere out of the way. Hailing a tuk-tuk is very easy. Just walk along the road and there are drivers honking at you. Always negotiate the price down, but do be reasonable with your counter offer. There are also motorbike public transport. The motorcyclists wear a vest that anyone can spot from afar. You can also take it, for a fare, if you are OK with hugging sweaty strange men from behind, while riding pillion. Alternatively, seek assistance with transport from your hotel. The staff can help you to book a taxi or charter a tuk-tuk. From experience, most drivers of chartered tuk-tuk (which are of better condition than those that ply the streets all day) can only communicate in Thai, so that could be a problem if you want to visit a certain place which is not in the pre-planned itinerary. Grab and Uber were newly launched in Hat Yai when I was there. Install the Grab app (Uber is now defunct) to receive promo codes and get discounts on your rides. Do take note that like every other city, ride hailing may not work in outskirt locations, for example, in Hat Yai Municipal Park. Hotels and cafés may offer free WiFi connection but we also need internet connection when we are out navigating our way in a new city and to hail a ride. For digital nomads like me, the internet is as important as water. There are a few mobile service providers in Thailand. AIS and True come to mind. I subscribed to DTAC upon the recommendation of a friend. Price: ฿99 for the SIM pack, inclusive of five days unlimited 4G mobile internet. If you need the service for more days, it will cost you more, of course. The problem is that some shops may charge you ฿99 for just the SIM pack and you would need to top up ฿50, for example, for mobile data. So, do be careful and understand what you are paying for. To activate the SIM card, your passport is required. Some shops activate it for you without passport but that’s not legal. Some may be lenient even if you just produce a photo of your passport (details page) because the original has been kept by your hotel. However, there are others who would insist on having the physical passport. Your photo is also required, and it can be taken on the spot. Souvenirs – What to get? I wasn’t huge on buying souvenirs when I was in Hat Yai. As I have mentioned before, I have enjoyed these all along when family and friends holiday in Hat Yai since the 1980s. If you wonder what souvenir you should buy in Hat Yai, it’s usually elephant-print clothes and bags, as well as tidbits such as My Chewy Milk Candy, Koh-Kae peanuts, cashew nuts and Lay’s potato chips with flavours that are only found in Thailand. If you don’t mind the weight, you can get Thai sauces and packet drinks. There are so many types that are not available in Malaysia. 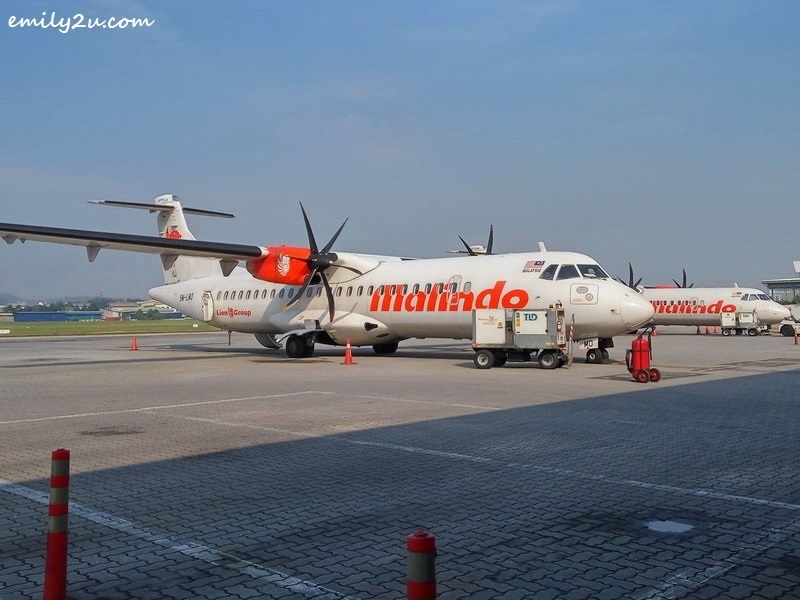 Malindo Air provided 15kg checked baggage allowance, plus 7kg carry-on per passenger. 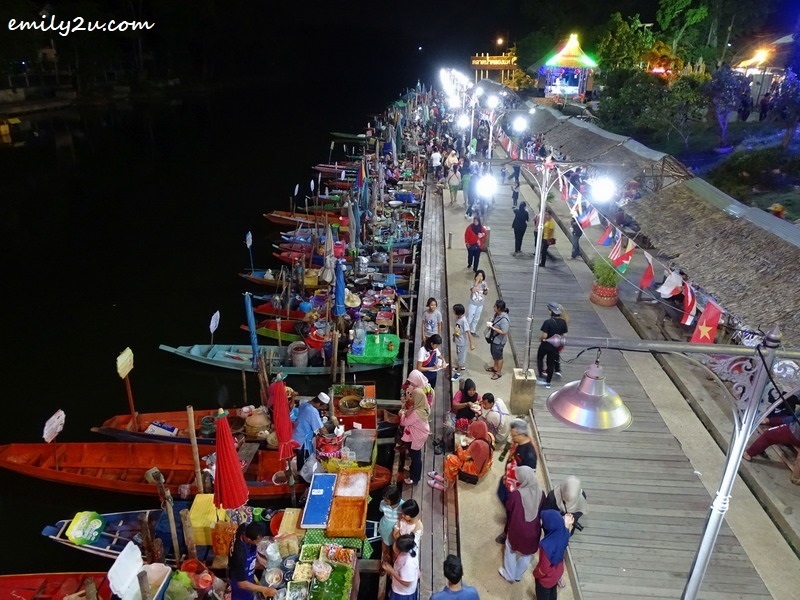 Khlong Hae Floating Market – Hat Yai’s top attraction, but make sure it’s open! If it’s suggested that there is only one place you are to visit in Hat Yai, Thailand, choose Khlong Hae Floating Market. Located at Khlong Hae, Hat Yai, the famous waterside market is about 30 minutes’ drive from Hat Yai city centre. 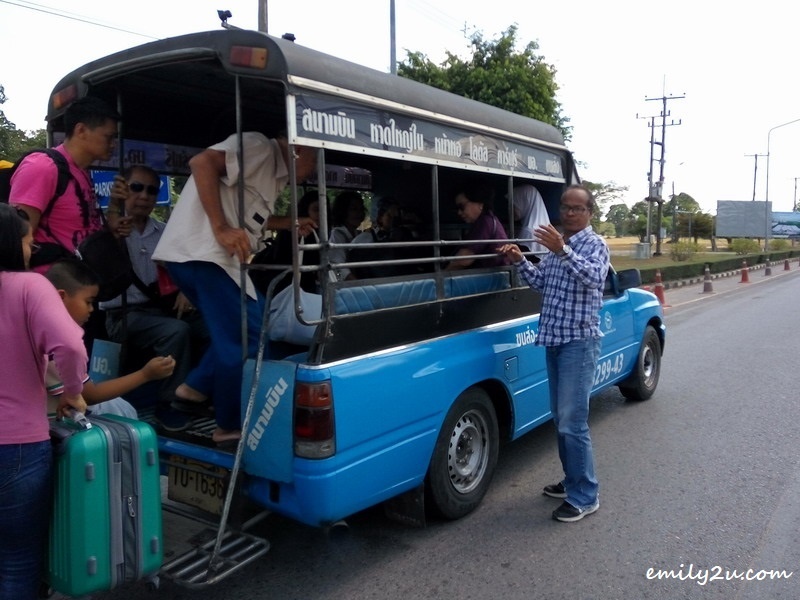 If you don’t have private transport, charter a tuk-tuk – the going rate is about ฿500 return trip. 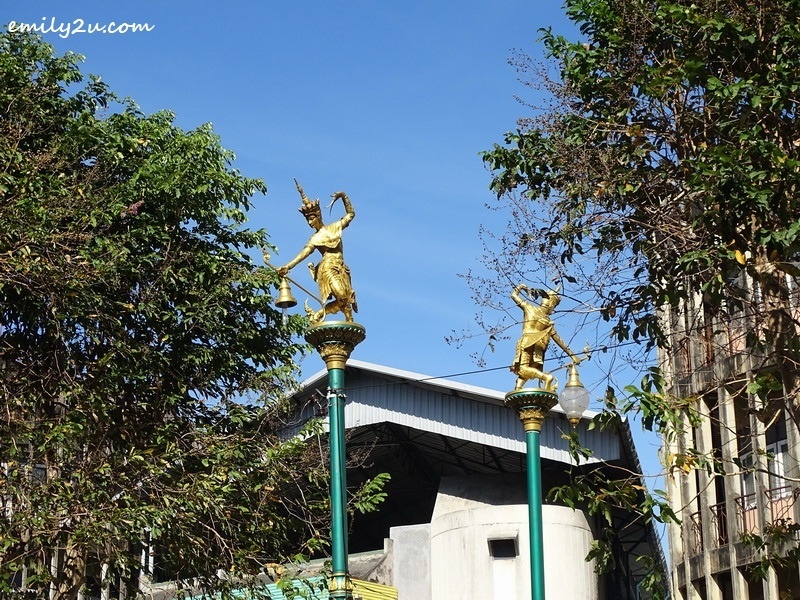 Driver will wait at designated area, within the compound of Wat Khlong Hae. Pay the driver only when you are back in town. One thing to note during your visit is that most sellers are environmentally conscious. They use clay pots, bamboo tubes, coconut shells to pack their food and drinks, instead of plastic bags or foam boxes. Khlong Hae Floating Market only opens on Fridays, Saturdays and Sundays from 1pm to 9pm (local time). Be there latest by 8pm or your trip won’t be worthwhile. 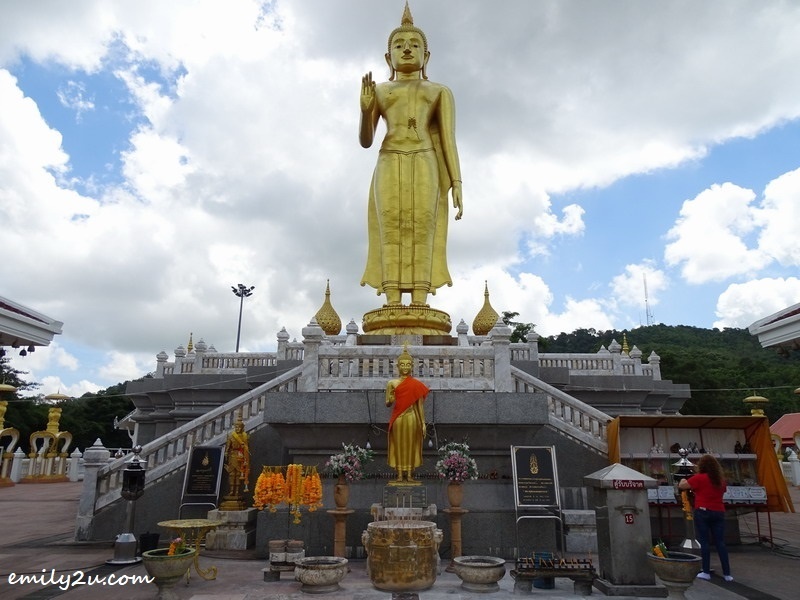 5 Responses for "Top 5 Things To Know About Hat Yai, Thailand Before Your First Trip"
Hi, very nice entry. Looking forward to know about Thai’s food, and if dont mind if you could share the Halal one. Since Thailand is just near so Malaysian should take this opportunity to travel and explore uniqeness of Thai. I’ve been to BKK once but not this part of Thailand. I think I should probably try visiting here too! We’ve been there in Thailand last year and we really enjoy that beautiful place. Stunning architectures and view. Yeah when you have Grab app, you can use it anywhere in Asia. Definitely love every part of Hatyai! I heard my friend that it was a good place for shopping as well. 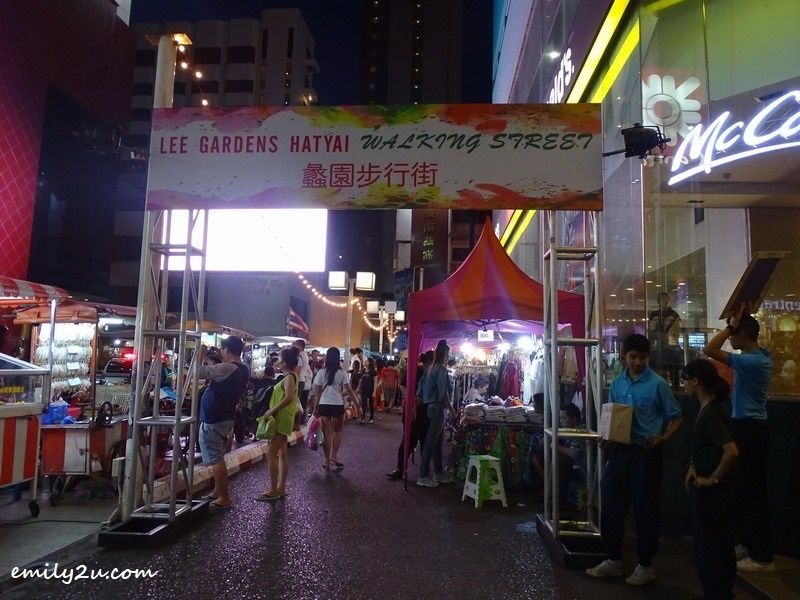 The night market is nice to jalan jalan too.